The Transatlantic Trade and Investment Partnership - TTIP - this is an unprecedented agreement that intends to bring the two largest and already most integrated economies in the world even closer. To reach this objective we need to be innovative and find creative solutions to long-standing problems. Above all the agreement needs to be comprehensive, addressing both tariff and non-tariff barriers, providing economic operators with a more friendly business environment. Our ultimate objective is to boost trade and investment allowing newcomers, in particular SMEs, fully to explore the benefits of the transatlantic market. Together, the European Union and the United States account for more than 50% of world GDP in value, 41% of GDP in purchasing power and one third of world trade flows. The two economies are already well integrated. The USA are the EU principal export destination for both goods (EUR 292 billion) and services (EUR 157 billion). Our economic relationship is unparalleled, anchored by investment ties: the USA are Europe’s primary partner both in outward (EUR 1.4 trillion) and inward (EUR 1.3 trillion) stock investment. a deep and comprehensive TTIP can further enhance our relationship and ensure we reap the benefits of the existing trade and investment ties more fully. What is TTIP and what does it aim for? Who will benefit from TTIP? Why is business supporting these negotiations? Is TTIP an agreement for the big corporations or will it be beneficial for SMEs as well? Could TTIP possibly lead Europe out of the crisis? Will TTIP promote financial deregulation leading to increased economic imbalances? Does TTIP put EU democracy in question in the decision-making process? Is TTIP being negotiated in a secret way without involving all stakeholders? What about transparency? 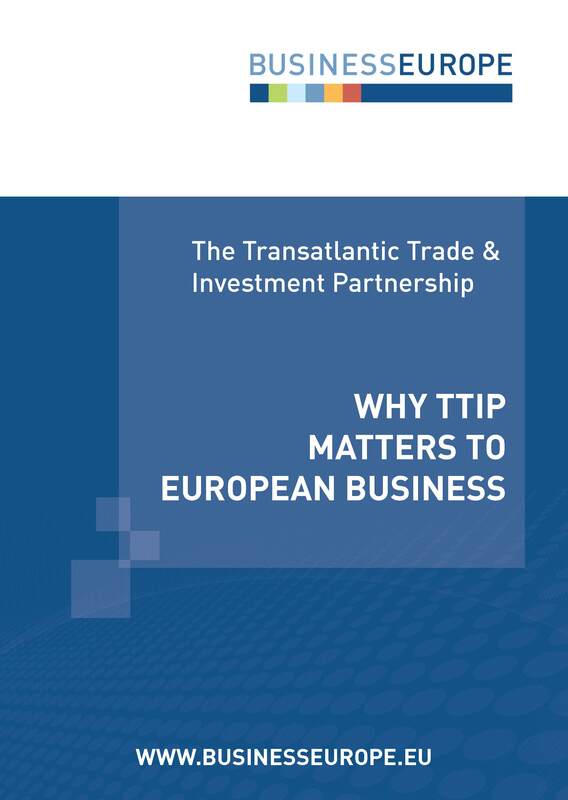 Why does TTIP matter for European business? How can it lead to the establishment of world-class rules and standards? 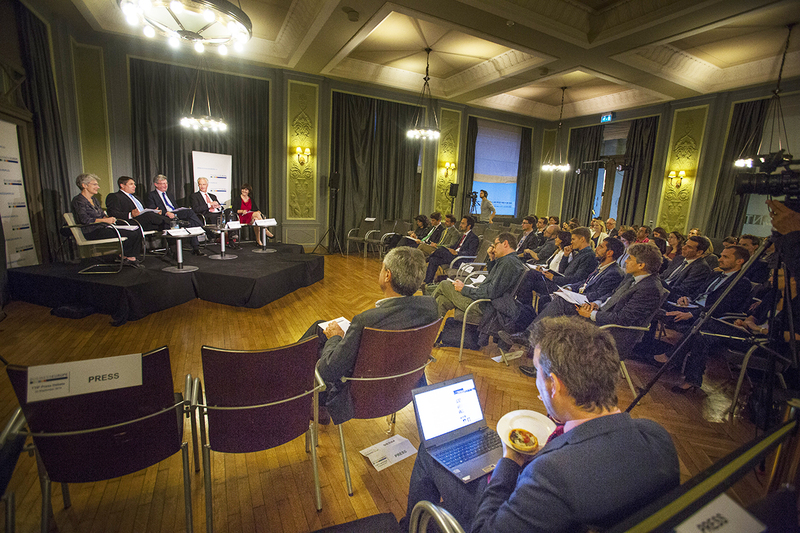 This was the main topic of the press debate organised by BusinessEurope on 23 September 2014, offering European journalists to engage with representatives from industry, trade unions and the consumers. The debate was an opportunity also to discuss controversial aspects of TTIP in a number of areas, including food and product safety, workers rights, environmental and investor protection. NGOs, MEPs, the European Commission, US decision-makers were in the audience. TTIP: myths and facts - What is the Transatlantic Trade and Investment Partnership? Press debate on TTIP, 23 September 2014 – ARGUMENTS: Why TTIP?